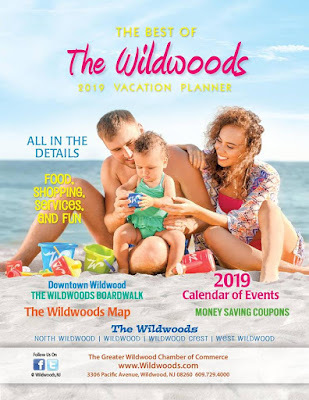 Wildwood 365: 2019 Vacation Planner is in - order your FREE copy now! 2019 Vacation Planner is in - order your FREE copy now! Memorial Day Weekend is still a way's off (15 weeks, who's counting? ), but the time to begin planning for Summer is NOW. On that note, we have received word that the 2019 Wildwoods Vacation Planner is hot off the press and available to be mailed FREE of charge! The planner features hotel/motel listings, info on food, shopping and services, things-to-do, a calendar of events, coupons and much more. Order your copy today at www.gwcoc.org/vacation-planner.